What's holding you back from making the switch to digital? Digital versus analog – it’s the debate that rages between refrigerant technicians across Australia. For many, there’s a hesitation to switch from the old school processes to the new tech-driven frontier. On either side, there are really three main arguments driving the debate – let’s check them out. Technology is changing the way we work so the argument for working smarter, not harder shapes this side of the debate. Digital tools are designed to give accurate readings no matter where you are. The gauge is directly connected to the pressure source in question removing the need to manually insert and remove hoses to get a reading. As the probe is always in place, it can send live data to any smartphone it is directed towards allowing technicians to stay on top of their systems at all times. 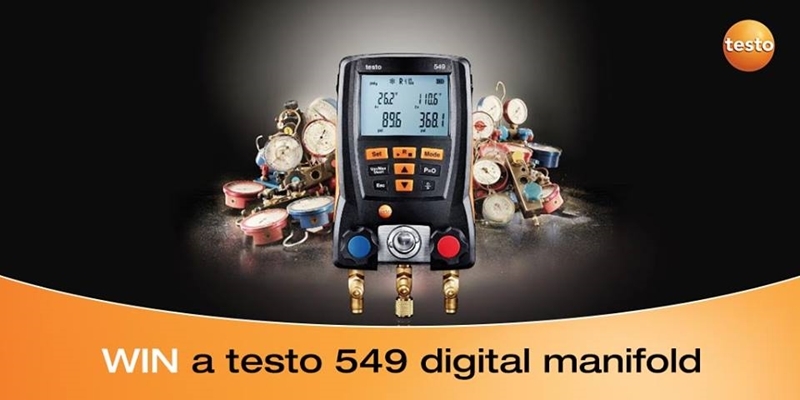 Tools like testo 549 digital manifold are designed to last, and come with the warranty to prove it. Many technicians have had their devices for years (for some, over a decade) without so much as a glitch. They’re built sturdy to last and comes with a Smart Case that allows for easy transportation so you can have your kit on hand at all times. State-of-the-art technology certainly doesn’t come for free – but the durability that we’ve just covered means that the digital tools more than pay for themselves over time. Additionally, using digital tools makes you more productive helping you make more with improved efficiency. The best comment on our Facebook page wins a testo 549 digital manifold! Some say, there are things that technology just can’t beat – others are afraid of machines using the data to take over. Some are under the impression that there is a lag with digital readings, and that the analog system’s needle will never fail, giving an accurate reading each and every time. However, its limitations are in the fact that the measurements are only precise when you are in front of them. Upon leaving the inspection, the reading may change – the real lag time is in between inspections. Technology can be fickle – so bring it into an industrial working environment, and you might be concerned that it won’t be able to withstand the grit and grime. However, if the Australian Defence Force can use Testo’s systems in the field, you can be confident your digital system can hold up on your day to day. So what do you think? The great debate rages on! Check out our Facebook page to take a side and voice your opinion today – the best comment will win a testo 549 digital manifold!